From time to time I am hired for private orders by families that want me to photograph their family, underwater, especially with the kids. For this very special image, after have living on a boat with the family for half a year my client wanted to surprise his wife with a souvenir of those 6 months enjoyment on a boat under the sun and far far away from Europe and agitation of daily life. The request was to photograph the 3 kids; 3, 5 and 9 years old. 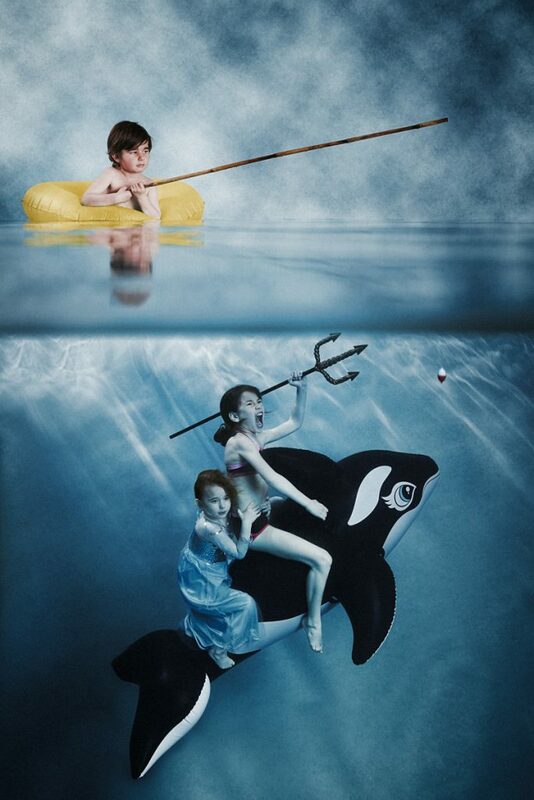 The pitfall was the 3 years old little boy who was not at ease with the idea to stay underwater. 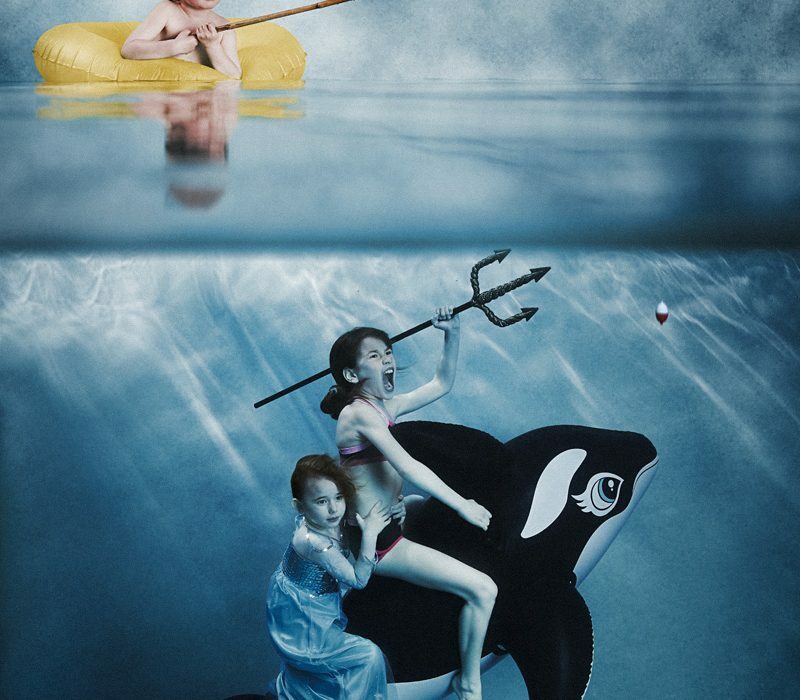 We finally worked on a composite image with the little brother being on a rubber ring fishing a big orca. On the lower side the big sister is like an underwater Xena fighting to protect the underwater realm and its fellows and of course to protect her little sister, the Blue Princess !! If you also are interested by a custom unique piece of art, please contact me talk about it.